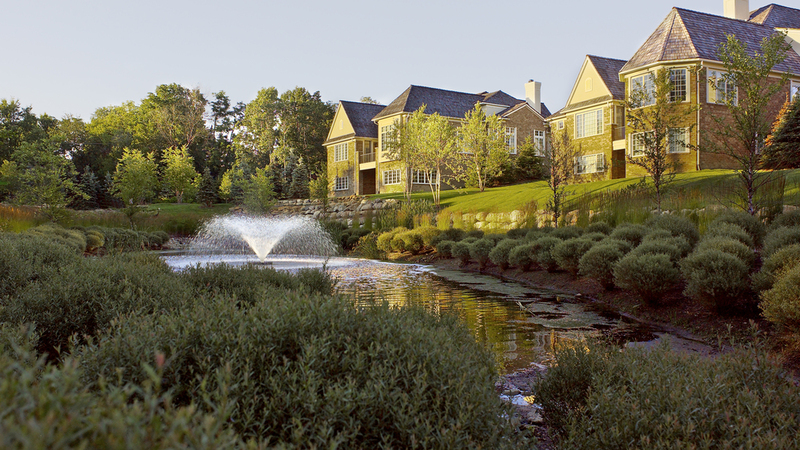 A Cotswold style home, designed by Albert Kahn, stood alone on this 40-acre property for many years. The home still stands, and recently it’s site was parceled off and developed into condominiums. 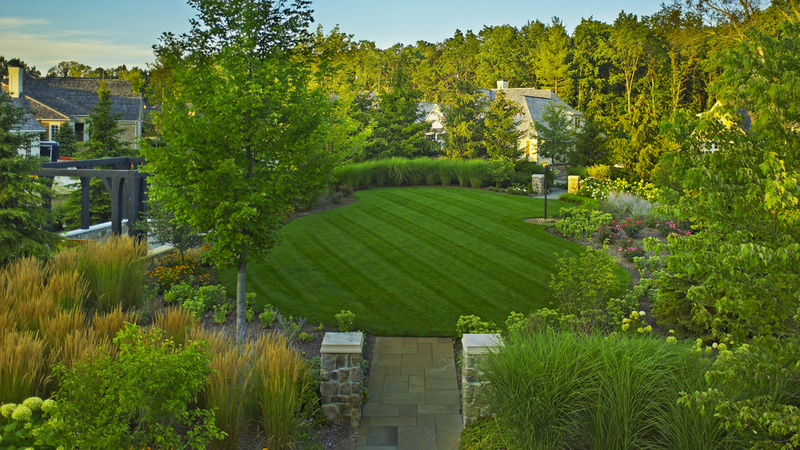 A park-like space was designed to serve as a focal point and was positioned within a central cul-de-sac. 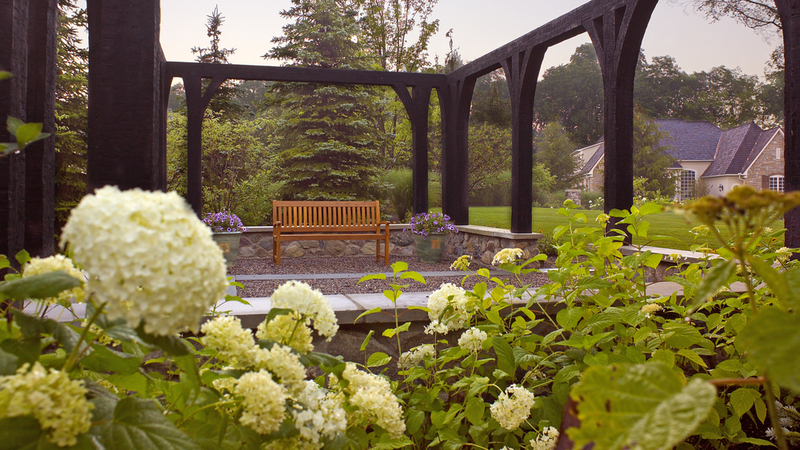 A pergola and dinner bell from the Kahn home were integrated into the park along with textural mass plantings of ornamental grasses, flowering shrubs, perennials and hardwood trees. The space echoes the character of the original site and provides interest during each season of the year.